Every boy loves to play sport at any age. 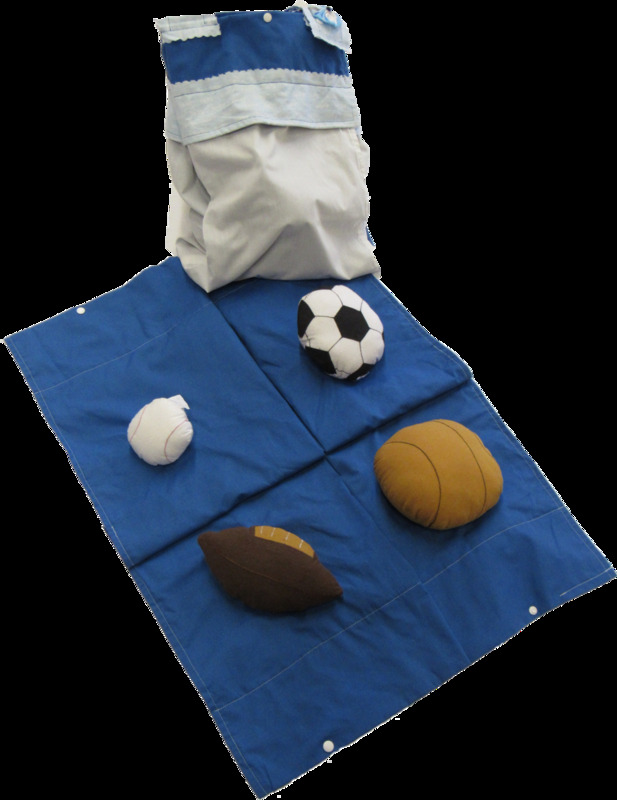 These sport mats were designed for the young man between 3 to 12months. We have introduced our boys to football, basketball, baseball and soccer. These soft balls come with a special noise maker of bell, rattle, squeak and crinkle paper. Each snapped on ball can be removed for individual play. Sport mats are constructed with dark and light blue cotton fabric with a light blue printed fabric.